There are plenty of shows that plan each season’s story as though it will be the last, but I can honestly say: Not since the last episode of Buffy season five have I seen a season finale that so definitively shut the book on its narrative in a way that would provide satisfying closure, laughter, tears, and action, only to live on. Now that we know it’s coming back for a (shortened) sixth season, let’s pay our respects and say: R.I.P. in advance, Phil Coulson. Despite a rocky start back in the first season, where Clark Gregg looked like his longtime character-actor status hadn’t prepared him to hold a show together, over the course of those initial 22 episodes he figured it out. From the end of season one on, he’s been a steady and charismatic center for an oft-outrageous series, his humane and grounded performance keeping all the superpowered antics anchored to plausible terra firma—even when they were defying gravity in space. The character of Coulson wasn’t just a funny and powerful presence; he was a necessary personality that helped keep everyone else in effective positions vis-a-vis each other. He functioned as a sort of combination one-step-above-it leader and audience surrogate, someone to relate to even as Gregg’s surprisingly strong swagger gave him de facto father-figure authority. He got to do something rare in a story like this: He chose when and how to say goodbye. He did it with a moving speech and even got choked up in the process, ensuring that a lot of viewers probably did, too. It was remarkable work, and no matter where the show goes next year (perhaps off to find Fitz, unless they do that between seasons), Jemma Simmons is right: We’ll deal, but we’ll never move on. Everything about “The End,” from its title on down, seems genetically engineered to serve as a series finale. Even the ostensible “cliffhanger” of the team getting ready to go find Fitz, frozen in ice somewhere in space, is really more of an “it’s gonna be okay” reveal, given we thought he had been permanently killed during the fight in Chicago. (Which, wow, would that have been a dark conclusion. It felt very Whedon-esque as it was happening, but it would have destroyed Jemma, and I’m not sure any of us are emotionally equipped to handle that.) Coulson bowed out with a heartfelt speech, and even gets to live his remaining days with Melinda May, the woman he loves (shades of House’s mortality-laced ending, only, you know, better). Daisy realized she wasn’t ready to lead and turned the role of Director over to Mack, which isn’t flawless but feels right. And we literally get the new team, sailing off into the distance, the next mission just over the horizon. This was a case where a potentially cheesy farewell actually ended up being surprisingly potent. I have no way of knowing yet whether the cast actually thought this was gonna be it (my gut says yes, though subsequent interviews will surely confirm one way or the other), but everything about that last scene in the Zephyr, with Coulson leading the toast, screams “Let’s film our actual goodbyes.” Since Gregg was leaving either way, his sendoff was guaranteed, so even had they known a shortened sixth season was on the horizon, thise was, for all intents, the soul of this show saying farewell. As I’ve been saying in these reviews, I’m still not convinced the show will survive his departure (at least not in a creatively smooth way), and this scene demonstrated why. These people need a Phillip J. Coulson in their lives, just as S.H.I.E.L.D. needed one in its narrative. They’re right to mourn and pay tribute at the same time. But before that, there was the conclusion of the Talbot/Graviton storyline to deal with. It wasn’t the most satisfying conclusion—Daisy really only got to land two massive blows before he was quaked into space—but that didn’t detract too much from the sharp unveiling of Coulson’s maneuvering. He really was the one who put it all together and saved the day (though it’s a bit odd Robin would both know that and yet also confront the “something’s wrong” change moment that accompanied altering the timeline). He slips the Centipede serum into Daisy’s armor, which she discovers at just the right time, getting enough strength to blast out of Talbot’s grip. The effects were far from flawless, but it was still exciting to watch him crash that ship into the skyline, even if it wasn’t a Chicago a resident like me recognized. Not that their heroics prevented the episode’s opening one-life-vs.-the-many debate. It was an actual argument, with logical perspectives on both sides, but I’m surprised the show cut it short by having May smash the Odium. Not because she wouldn’t have done that—of course she would—but it did somewhat undercut Mack’s uplifting message of hope and teamwork, making his talking Yo-Yo down from the brink of betraying everyone hold a little less weight. Because May did the same thing, but we like Coulson, so we just roll with it. The show was counting on that, but it still sapped some force from a guy about to become the new director (and as Daisy reminds everyone, the moral center) of S.H.I.E.L.D. One of the great things about this finale was how it clung to the show’s “keep up or get out of the way” ethos, paying off lots of little moments that depend on you having watched closely all season without calling attention to them. Especially given the sometimes confusing nature of the time-travel stuff, the brief shot where Fitz realizes Mack and Robin’s mom didn’t survive in the future—and his wide-eyed “Oh, no”—was a terrific beat to include, rewarding for those who knew what the hell Fitz was talking about. Deke and Daisy discussing FitzSimmons’ grandson leaving because he could blink out of existence at any moment was similarly good, as was the shot recreating the exact moment of Daisy leaving the Zephyr to go confront Talbot that we first saw way back in the season opener. These were all solid ways to demonstrate the show’s confidence in its storytelling, and not waste any time holding the viewer’s hand. This season occasionally fell victim to the series’ frenzied, hectic pacing, but it maintained a robust sense of excitement even when character and subtlety fell by the wayside. It makes sense the conclusion would function as an elegy for the man who best represented the spirit of the show itself. 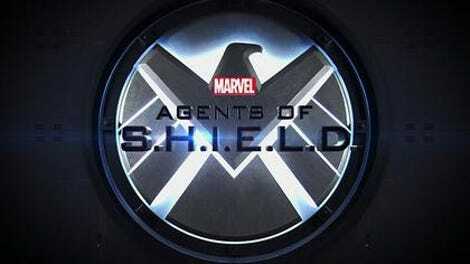 Phil Coulson, in more ways then one, really was S.H.I.E.L.D. He took charge, pushed people to be their best selves, occasionally fucked up, but never stopped thinking there was good to be done. If the show did its best to embody the smartest and most breathless intensity of its comic book origins, Coulson was the human avatar of that impetus. So here’s to him—who’s like him? Damn few. Well played, Jed Whedon and Maurissa Tancharoen, for making Coulson’s final toast a Stephen Sondheim reference. Talbot: “I’m becoming a hero.” Daisy: “You are one.” She lays the whole “service of others” shtick on a bit thick, but then, Talbot was always a bit thick, too. Jemma taking Deke’s tool was significant—do you think he vanished out of existence, or is he wandering the streets of America? I wouldn’t mind getting a copy of the Phil Coulson “In remembrance” plaque, if anyone from Marvel or ABC’s marketing team happens to be reading. Phil Coulson finally gets to visit Tahiti, that magical place. And that closes the book on season five. Thanks so much for watching and reading along, everyone. I’ve enjoyed your comments, questions, and heated debates about which agent could take who in a fight. Looks like we get at least one more season to hang out with these extraordinary people.